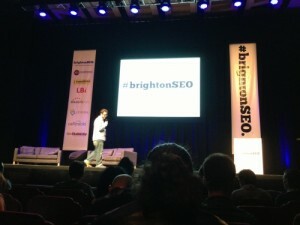 After another successful trip to the UK’s largest search conference, BrightonSEO, on Friday, I’ve decided to write a slightly different roundup post. I’ve read through the many pages of notes I scribbled on the day and picked my top 9 takeaways that matter most to the people who should benefit from me attending conferences like this one – my colleagues, our clients and my bosses. 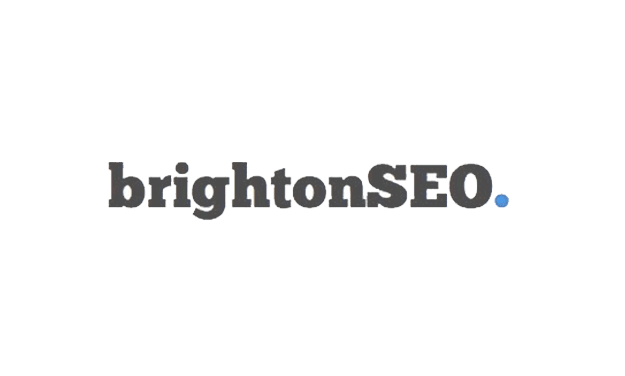 I’ve also put these takeaways with some other stuff into a prettier infographic in a different post – My #BrightonSEO April 2013 Roundup [Infographic]. 1. Set up social structured data for improved click-through-rates Alex Moss of 3 Door Digital presented some really useful slides on social structured data, explaining that setting it up for the major social networks – Twitter, Facebook and Google+ can improve click-through-rates and increase shares through increasing real estate and exposure and tailoring content. His slides are available here. 2. Even great content requires a lot of hard work to gain links I really enjoyed Hannah Smith of Distilled’s talk “Go Big or Go Home”. Hannah took us through a journey of how their SME insurance client had to compete with the large nationals with bigger budgets and how they had to take a few risks in spending more time creating “big” content rather than just carry on creating “small” content. What stood out more for me was Hannah emphasizing the fact that they did have to work hard to get the great links that they gained, so you can’t just sit and wait for links to come, even with great content. See Hannah’s slides on slideshare. 3. Target ‘The Future Influencer’ bloggers Sean Walsh of Blue Claw nicely defined the three main types of bloggers out there: The Super Influencer who is often too expensive or snooty to get a link from; The Influencer who has a good social following and domain authority who receives a lot of requests from SEO’s; and The Future Influencer who’s following is growing rapidly and are looking to work with brands in order to make themselves look good. The Future Influencer is usually more approachable and you’re more likely to get something from them if you simply ask what you or your client can do for them, whether it be an exclusive factory tour or help to get them known. 1. Consider changing your company/brand name to domain.co.uk Lexi Mills of Dynamo PR had interesting link building tips from a PR perspective in her presentation “7 Secret Weapons of Successful Content & Outreach”. Giving an example where she advised her client to be referenced as their domain name Names.co.uk rather than their company name Names Co, Lexi explained that gaining a hyperlink from news articles was easier as editors found it more natural to link from a domain name. She placed a lot of emphasis on making links look natural within press releases, advising that the footer text should be used for anchor text links rather than the main body text. Lexi’s slides are available on slideshare. 2. “Don’t be a sheep” – don’t always copy what your competitors are doing In true Manual Link Building style, Paul Madden gave a very honest talk on “How to Spot a Sh**ty Link”, using his experience as a (in his own words) ‘Former Professional Spammer’. Using a lot of data available to them, Paul had analysed various sites and the effects of link penalties. A good point he made was “don’t be a sheep” – which for me, emphasized the point that you shouldn’t always copy what your competitors are doing just because they rank above you. Paul’s slides are also on slideshare. 3. “Local Search is about your physical location, not your website” David Whatley of MiShop Local began his local search presentation with the bold statement “local search is about your physical location, not your website” going on to say that for local search, a business could survive without its own website. This emphasized his point that for local search, it’s important for a business to have a consistent name, address and phone number across all local sites to make Google’s job easier at listing that business for the right location. 1. “Great content requires 40+ hours to create plus further time to outreach” Again, back to Hannah Smith’s talk on creating “big” content. Hannah stated that it takes at least 40 hours to create higher quality content, plus more time to outreach and gain inbound links to that content. The reason this point stood out to me is the point that Hannah made – 40+ hours is a lot of time for clients to invest in without the knowledge that that content will definitely succeed. I appreciate that to “go big” agencies are going to have to take risks on spending that extra time in order to minimalise the client’s risk. 2. Develop or invest in automation tools to allow for more creativity Although Autotrader’s Berian Reed talked us through “Automating SEO on Large Websites” I found it relevant for all sites, big or small. For he made a good point that most SEOs will find themselves spending 80% of their time on boring stuff and 20% on cool stuff, when it should really be the other way around. So to turn the focus around, Berian recommended a few tools that can help such as using Google Analytics Alerts to monitor traffic spikes, Advanced Web Ranking to monitor competitor positions and Tynt to automate link building. The 80:20 point made me realise that a lot of agencies must be guilty of spending time on boring tasks that can be automated and that HeadRed could benefit from using more automation tools whether we use existing software or develop more of our own. Berian’s slides are on slideshare. 3. Use the Concept Feedback Tool for new designs Marcus Taylor of Venture Harbour has a brilliant case study of how they improved a site’s conversion rate from 2.5% to 10%. Marcus made a good point that before starting any conversion rate optimisation tests, it’s important to firstly make sure the traffic you’re getting to your site is right as there’s no point optimising for the wrong audience. He also found it useful to get as much feedback as possible by engaging in forums, offering a live chat option to site visitors and particularly found using the Concept Feedback Tool to get feedback on new designs and layouts really helpful. See the slides on slideshare. The 3 track setup worked quite well on the day, but unfortunately it meant having to choose which talks to see and missing others. The session I regret missing the most was ‘Ask Ex-Googlers Anything’ as the feedback was really good and the tweets and notes I’ve read from the session seem to be really insightful. Neil Walker wrote this post on State of Search covering the session. Talking of Neil Walker, it’s worth checking out this video of Neil’s SEO rap which ended the day with some lighthearted fun! Also, if you want to see other slides apart from the ones I’ve mentioned above, Daniel Bianchini has kindly pulled them all together in once place on his site here.